THE Zambia Revenue Authority says it is verifying reports that Konkola Copper Mines (KCM) is making annual profits of US$500 million. This is to determine if KCM has been paying appropriate taxes to the Zambian government. 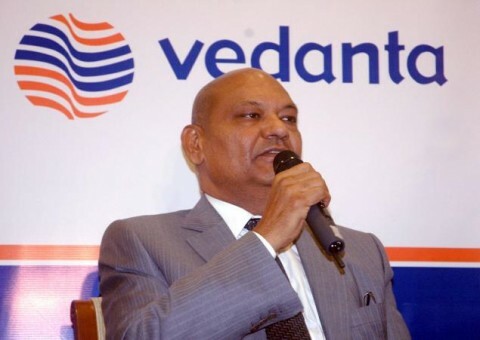 A ZRA source said yesterday that the authority has interest in recent press statements attributed to Mr Anil Agarwal, the chairman of Vedanta Resources, the majority shareholder of Konkola Copper Mines Plc. In a statement posted on various media houses, including video footage on You Tube, Mr Agarwal has reportedly stated that KCM Plc has been making a minimum of US$500 million per year since the mine was acquired by Vedanta Resources Plc. “Obviously, it would be prudent for Zambia Revenue Authority to check whether this statement is at variance with profits declared, and if need be make tax adjustments with possible resultant penalties and interest,” he said. Mr Agarwal is reported to have said that KCM Plc is making US$500 million each year after buying the mine at only US$25 million from the Zambian government in 2004. But Vedanta Resources has refuted the media reports. KCM executive vice-president for group communications and corporate social responsibility (CSR) Roma Balwani said in a statement in Kitwe yesterday that Mr Agarwal’s recent speech at a business forum in India was used negatively by an activist. “Our chairman, Anil Agarwal, recently addressed business people in India when he spoke engagingly about the human side of running a multinational mining business. “In an anecdote, he referred to Vedanta’s 2004 acquisition of KCM, our Zambian subsidiary. Unfortunately, one activist has taken a small part of the video of this speech and used it negatively out of context,” Mr Balwani said. Mr Balwani said nearly all the returns from KCM have been re-invested into the mining company. And KCM chief executive officer Tom Albanese said Mr Agarwal and Vedanta Resources continue to believe that KCM has a great future despite short-term operational challenges.